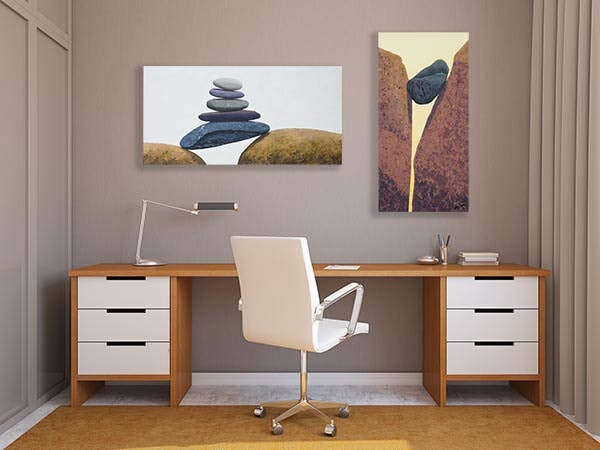 Crossing Over is part of my series "Sticks, Stones and Cairns", in the form of still-lifes, and rock-strewn landscapes has been the main thread of my art since 2015. The inspiration to work with rocks comes from several visits to the Lake Superior Northshore in Minnesota where I would come across these beautiful “Cairns”, rocks stacked on top of each other, created and left behind by other creative rock lovers. I consider many of my new paintings as collaborations with strangers I’ve never met.